**OPEN HOUSE SUNDAY, APRIL 30th 2-4pm** The original owners have meticulously maintained this 5 acre property. The property features a 1275sf freshly painted, 3 bedroom/ 2 bathroom bungalow with updated windows, new front storm door, a new septic tank in 2015, a ductless a/c & heating system 2011, a metal roof and a very spacious kitchen with lots of cabinet space. Outside there is a large southeast facing composite deck and a fully fenced area perfect for dogs or small children. The yard features a triple detached garage and separate single garage that current owners have used for their tractor. Out back find a 24’x36’ barn with three 12x12 stalls- the current owners have used this for their horse, but could easily be converted for another use, it would make an excellent skidoo shed. The barn has electrical run to it, and an intercom system connected to the house. 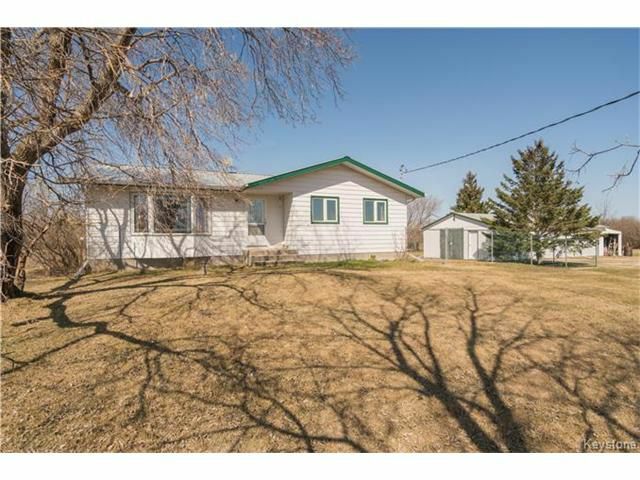 This home is only a 1/4 off of the #9 highway, has very little gravel driving and school bus pickup can be arranged right out front.